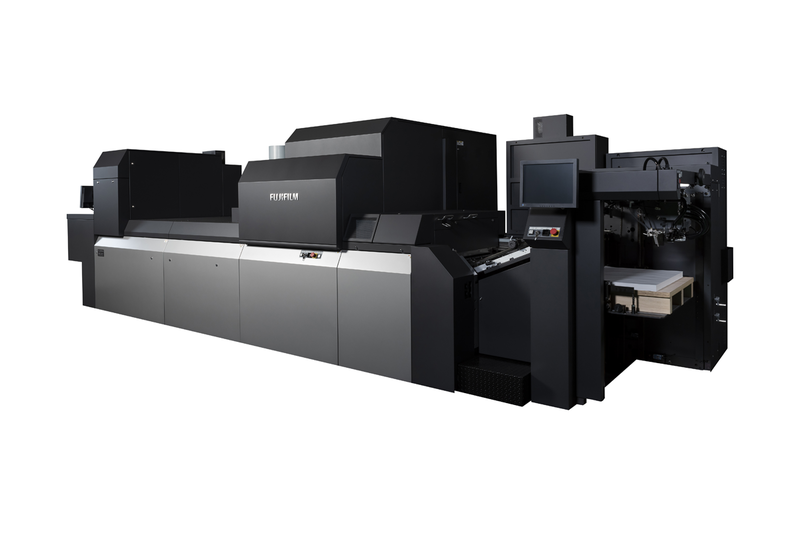 The FujiFilm JPress 750S is a sheetfed production inkjet device announced in 2018. The devices is targeted at production printing of Commercial Marketing Collateral, Direct Marketing – Postcards & High Color Direct Advertising, Direct Marketing – Self Mailers, Packaging. It has a top speed of 360 and uses aqueous pigment ink. Standard Sheet Size 23" x 29.5"
Minimum Sheet Width 25" up to 14 pt./23" up to 24 pt. Paper Types Standard Coated and Uncoated offset, inkjet treated synthetics/canvas, etc. Specialty Media Inkjet treated synthetics, canvas, etc.